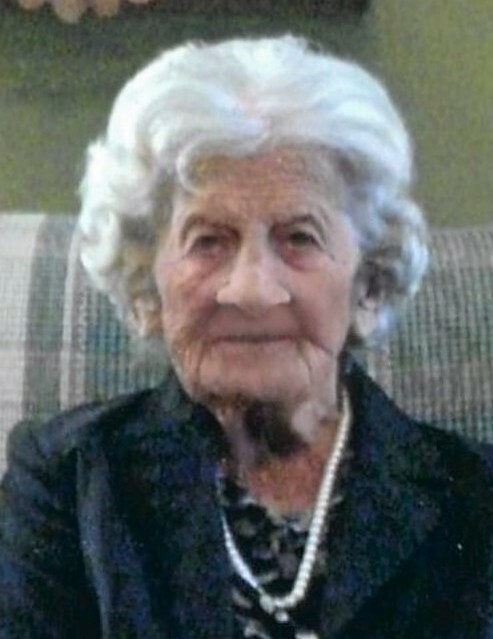 Mildred Mueller, 99, of Donahue, Iowa, passed away suddenly Tuesday, April 9, 2019, in her home. Mrs. Mueller was born Mildred Irene Whisler on September 19, 1919, to Eldie and Irene (Oehrlein) Whisler in Donahue, Iowa. She married Leonard Mueller on July 21, 1937, at Immanuel Lutheran Church Parsonage. The couple lived and farmed on the Whisler family farm since 1948. Mildred enjoyed family gatherings, 500 card club, music and dancing, going for rides, especially through Scott County Park, and wordseek puzzle books. She is survived by a son, Garry of Donahue, and daughter, Margie Thiering of Walcott; granddaughters, Michelle (Clark) Cook of Des Moines, and Marla (Mark) Freeman of Davenport; great-grandchildren, Blake and Molly Freeman of Davenport; a sister, Marcella Grau of DeWitt; and nephews, Marty and Kurt Matherly. She was preceded in death by her husband, Leonard; son-in-law, Ron Thiering, a sister, Elaine Matherly, and brothers-in-law, Vern “Butch” Grau and Harold Matherly. Visitation will be from 4:00 until 7:00 p.m. Thursday, April 11, 2019, at Schultz Funeral Home, DeWitt. A Service will be held at 1:30 p.m. Friday, April 12, 2019, in the funeral home. Burial will be at Allen’s Grove Cemetery, rural Donahue. In lieu of flowers, memorials are suggested to the Donahue Fire Department or charity of the donor’s choice.